If you drive a car almost anywhere in the United States, you are required by law to have auto insurance. When you make your regularly scheduled payment, you may be wondering if it helps build your credit like a loan or credit card payment. Does paying monthly car insurance build credit? Paying car insurance premiums does not help you improve your credit score, unfortunately. Your credit score is made up from information on your credit report, which includes reporting your payment history. However, that history is limited to credit-related account histories, such as credit cards, student loans, car loans, mortgage loans, and lines of credit. Insurance companies don’t report to the credit bureaus, so you don’t get any benefit from paying car insurance when it comes to your credit. However, paying your insurance on time does help you avoid late fees and get into good habits that could later translate to helping you build credit. “You can still use car insurance to help you build credit by charging it to your credit card and paying it off in full every month,” says personal finance coach Whitney Hansen. If I’m late paying my car insurance will it affect my credit score? In the worst case, if you don’t pay, your car insurance may be canceled. If you drive without active insurance, you could get in trouble with the law if you get pulled over. Even if you are rear-ended by someone else, you could get a ticket for driving without insurance. In some states, you could incur a large fine, driver’s license suspension, or even jail time for driving without insurance. If you get a ticket for driving without insurance and don’t pay your fine, it could be sent on to collections. In that case, driving without insurance would negatively affect your credit, since collections show up as a major bad mark on credit reports. Can I get car insurance with no credit or bad credit? 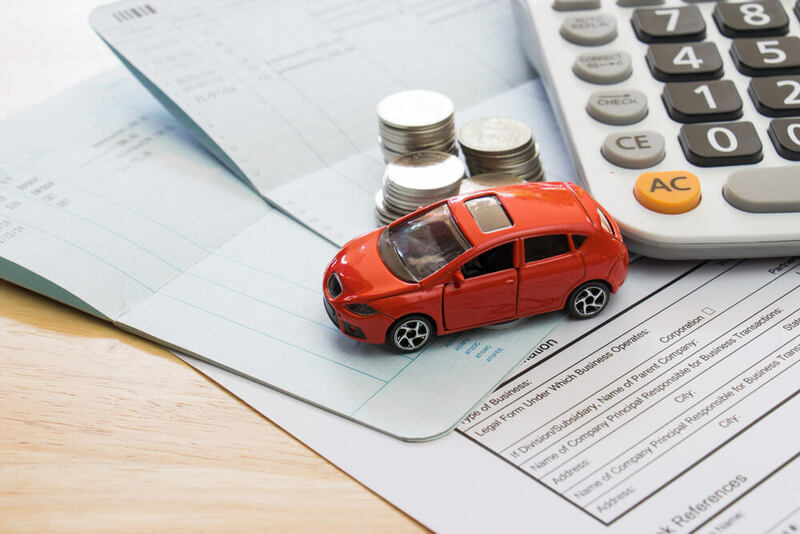 You may not have to worry about your insurance showing up on your credit report, but you do have to consider what’s on your credit history when you sign up for new car insurance. Car insurance companies have found a link between bad credit scores and higher costs. For example, one University of Texas study found that the average insurance claim for people at the lowest end of the credit spectrum was $918, while the average claim for people on the highest end was just $558. Because of this link, insurance companies use your credit score as a factor in determining your car insurance premiums. You probably won’t be turned down for car insurance because of a bad credit rating, but you could end up paying more every time a payment is due. A good credit score is a hugely valuable asset. From car insurance to opening up your next cell phone account, good credit can save you money. While your car insurance doesn’t help you build credit and can’t directly hurt your credit score, it is an important part of your personal finance picture and something you should never neglect. Are you making these common car leasing mistakes?